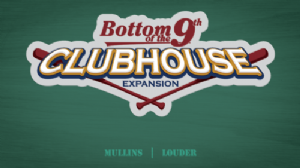 The Bottom of the 9th: Clubhouse expansion builds on both the gameplay and theme of the original game by adding a ton of new players, extensive tournament rules, and additional managers and support staff, as well as introducing brand new equipment cards to the mix! Each team has a budget to spend on tools like bats, balls, and pine tar, as well as gear like new jerseys, rally caps, and more. You can even upgrade your clubhouse to benefit every player in your lineup! Cards featuring the new Shift ability and token-driven powers increase the incredible number of combinations possible while making your winning lineup.